Are you are a positive and determined person with a genuine interest in providing great client service? If you are, then you would fit in well at Awdry Bailey & Douglas. Attitude and character are the most important things. At ABD we value knowledge and experience and of course they play a central role in providing great client service and in your career development, but your overall approach to life, work and the ability to build strong business relationships with clients, contacts and colleagues will really determine how successful you are. 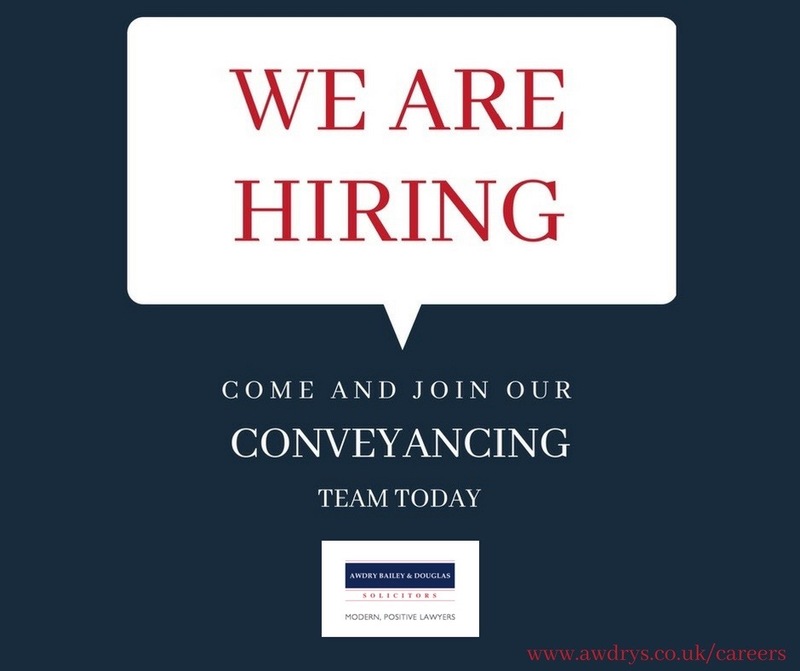 We are looking for friendly, proactive fee earners and paralegals who have an interest in providing excellent client service to join our Award Winning Residential Conveyancing Department. The position is open in our offices throughout Wiltshire, in Devizes, Chippenham, Royal Wootton Bassett and Marlborough. Our Award Winning Residential Conveyancing Department is seeking full time or part time Legal Secretaries who are friendly, enthusiastic and proactive to assist in the continued development of the department. The position is open throughout our office in Devizes, Royal Wootton Bassett, Marlborough and Chippenham. We are seeking an enthusiastic individual to start a Legal Receptionist / Administrator apprentice programme based at our offices in Devizes. The successful candidate will be self-motivated and relish the opportunity to learn and develop receptionist/administrator skills working closely with the Practice Manager. We are a modern and progressive law firm and we are committed to making ABD a great place to work. Our aim is to ensure that this is a positive, supportive and forward looking environment. If you are interested in any of these positions then please forward your CV and covering letter to David Turley at david.turley@awdrys.co.uk or call 01380 722311.